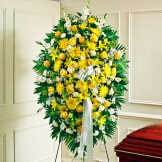 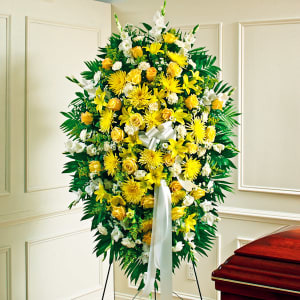 This Sympathy Standing Spray, in yellow and white, is a beautiful reflection of your sympathy and support. 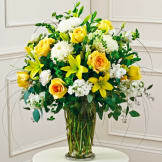 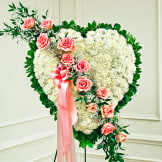 • Yellow and white flowers such as roses, Asiatic lilies, gladiolas, carnations and more. 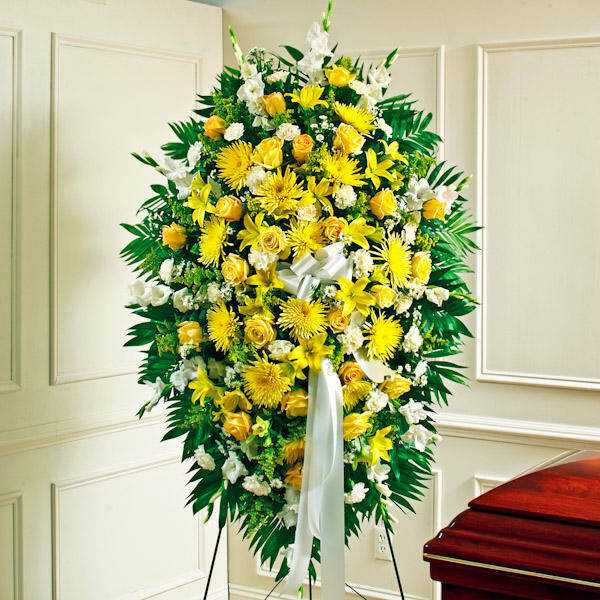 • An appropriate gift for family, friends and business associates to send directly to the funeral home.